Tyres are an important item on any vehicle but are often overlooked. At SRSC we are happy to provide you with a free tyre check to ensure your tyres meet UK law requirements that your vehicle is fitted with the correct type and size of tyre for the vehicle type, that they are inflated to the manufactured recommended pressure and they are above the legal limit for minimum depth of tread (1.6mm). Here at SRSC, free of charge, we can check the condition of your battery and charging system – a service that will take only 5 minutes. Using an effective test which provides a digital display, we can identify if a battery failure is imminent. 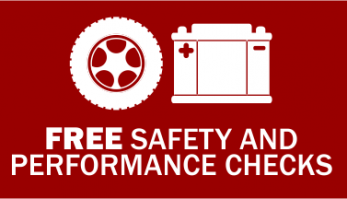 You can use this link to book your free battery inspection or alternatively call us on: 01773 260110 and one of our team will book your vehicle in.